The Mariupol sector was the hottest spot. 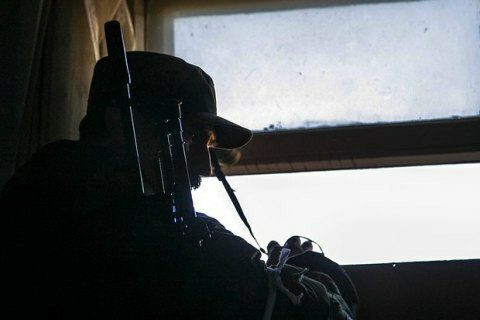 Over the past day, the Russia-backed separatists launched 26 attacks against the positions of Ukrainian troops in the zone of the antiterrorist operation (ATO) in Donbas, the ATO press centre reported on Monday, 5 December. In the Mariupol sector, the terrorists fired with mortars on the ATO positions in the area of Shyrokyne. During the day, they fired with mortars of various calibres, grenade launchers, heavy machine guns and small arms at Talakivka, Krasnohorivka, Mariyinka and Shyrokyne. In the Luhansk sector, 82-mm mortars shelled Novozvanivka. Grenade launchers were used in the vicinities of Krymske, Zhovte, Lopaskyne, Novooleksandrivka and Stanytsya Luhanska. The enemy fired with MANPADs on Novooleksandrivka. In the Donetsk sector, the terrorists fired with mortars and grenade launchers on the positions of the Ukrainian military in the area of Avdiyivka. On 4 December, the Mariupol sector was in the focus of militant attacks.